Look! Look! 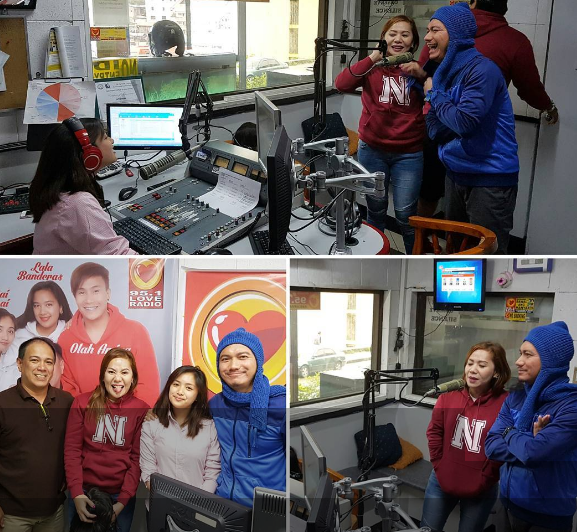 Look, who is inside the Love Radio 95.1 Baguio Studio. It's the king and queen of radio. Chris Tsuper and Nicole Hyala are in Baguio to promote an event sponsored by ChowKing. As you can see, Nicole and Chris are balot in their jackets. While you can see the station manager El Kapitan is just wearing nothing but polo shirt. Anyway, they are joined by DJ Shai Tsai too. Chris Tsuper in there just looks so cold. Nothing beats Baguio after all.